Update for the growing number of Collection Editors – spiffy new features! At ScienceOpen, we’re pretty pleased with how Collections, which uniquely feature articles from multiple OA publishers chosen by a researcher based on their interests, are shaping up. We have published eight so far and many more are in the works. Thanks to all of you who took the plunge and got involved. Leading by example is so important if we are to bring real and lasting change to scientific communication. Here are a few enhancements to make life as a Collection Editor that bit easier. Naturally you can still use our search engine (powered by elastic, not literally!) of over 1.5 million OA articles to find relevant content and add it to the Collection. 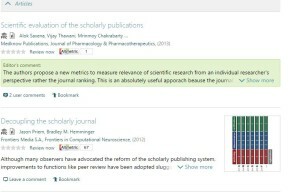 Although now the process of selecting what goes into your Collection has been improved by the addition of Altmetrics to all articles. In terms of giving you more control, we’ve also introduced a drag and drop feature so that you can arrange your article choices in whatever order you like. In terms of the more fun parts of being a Collection Editor, you can still visually customize the look and feel of your Collection and publish an accompanying Editorial with DOI (free) to explain why you published it and what behaviors you hope to encourage by demonstrating change to your peers. For those of you who go to the lengths of adding comments to each article with a note of the reasons why you chose it, we’ve rewarded that effort by making the comments immediately visible on your Collection page and others can reply to you right there too. 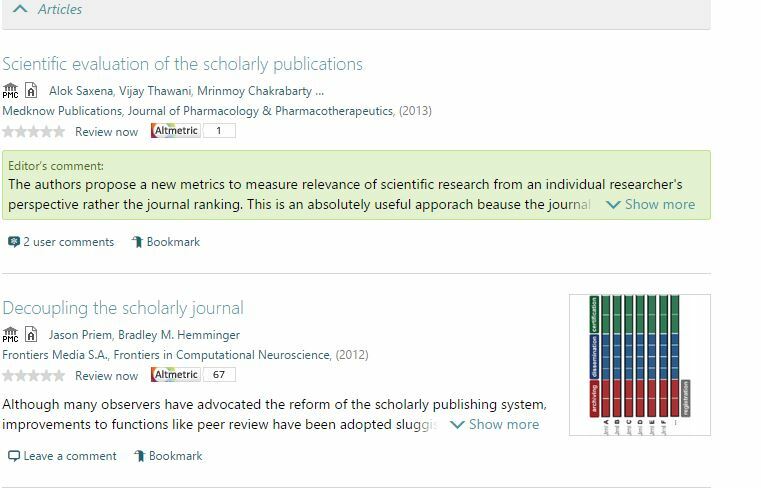 Co-founder Alexander Grossmann’s Collection, entitled “Perspectives in Scholarly Publishing” (partially shown below), showcases these spiffy new features really well. As does the International Union of Crystallography Collection which also has some rockin Altmetrics! And as a final touch to the all important effort:reward factor (a little ego boost if you will, when things go right anyways! ), your Collection Statistics are also visible. Alex is doing quite nicely on this front! 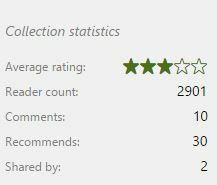 Although we’re delighted at the number of Collection Editors who have stepped up, we welcome more. If you want to join us, then please review this page and send us an email. 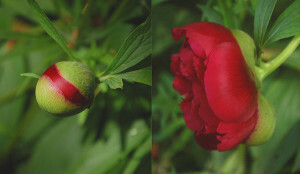 As ever, a shout-out to our Boston based dev team for helping Collections to flourish.